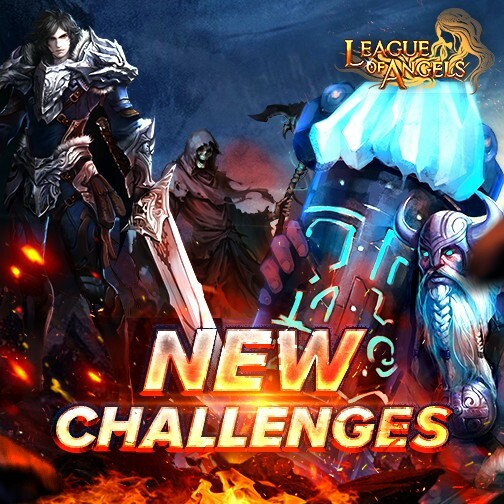 New Hero Titan Warlords Arrives in League of Angels! On no account can we ignore the power of evolution. In the latest version, League of Angels is happy to release a new hero, Titan Warlord, the only 3rd evolution warrior! What will he bring to your party? Come and learn more about him! Earthshaker, Hercules and Moonlight Warlord have long been players' choice when dealing with tough bosses. Titan Warlord, the new evolution will definitely blasts heavy damage to the enemies. Additionally, his skill Annihilating Strike has 10% chance to disable the enemy Angel (from casting Angel Skills or Artifact Skills). Titan Warlord's unique skill, Annihilating Strike, deals 2 enemies with heavy damage. The lower the enemies' HP percentage, the higher the damage will be. Executioner will be triggered when target's HP is lower than 28%. This skill adds a HP shield equal to 20% of the total damage caused to 1 party memeber with the lowest HP percentage. And this hero has 85% chance to immune and chaos. We hope players will enjoy this new herol joining the League of Angels universe, and look forward to more great content in the future!